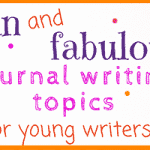 Regardless of how much writing students are doing in their daily assignments, journal writing has a set of benefits entirely its own. Journaling helps students improve their writing skills, certainly – but it also helps them to think about subjects in a new light and to explore their own feelings more deeply. 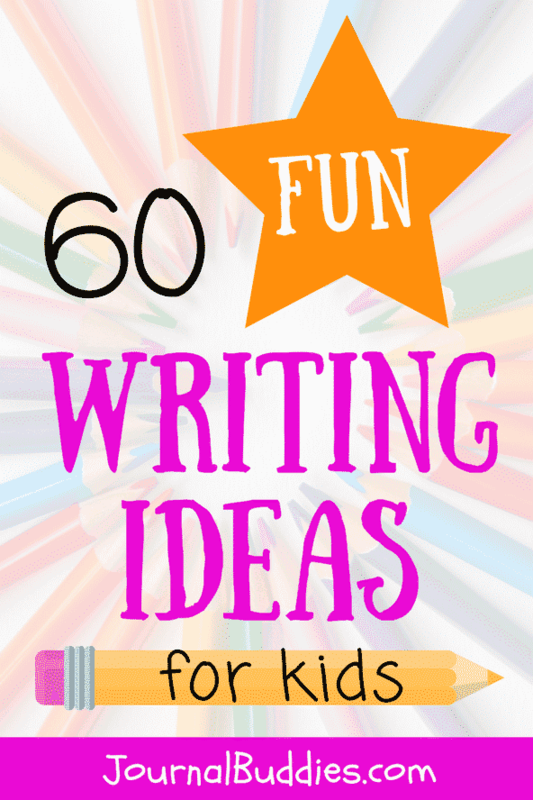 These 60 new kids writing ideas for students ages 7-14 will set them off on an adventure on the page. Students can consider important issues such as the right thing to do with a lost wallet or the qualities necessary in a good friend. 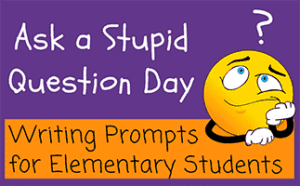 They can also get imaginative with prompts asking them to write a sequel to a fairy tale or a story about life on a pirate ship. 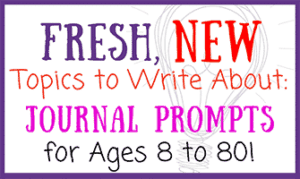 Each new journal prompt offers students an opportunity to explore a new world in their minds and to practice putting their thoughts into writing. 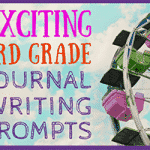 Help your students enjoy the benefits of journaling with these new kids writing ideas and prompts. 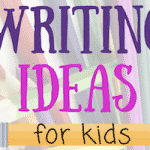 They’ll love the chance to get creative and let their ideas shine! 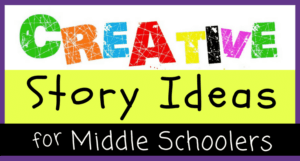 When students journal, they stretch their imaginations and explore their creativity. There are few limitations for journaling, which helps students feel free and gives them a powerful vehicle for expression. Are you good at keeping secrets or do you like to tell them? 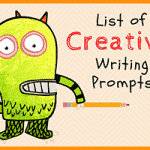 Write a silly story about a day where everything happens backward. If you found someone’s lost wallet, what would you do with it? 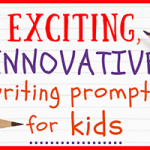 Imagine what life would be like on a pirate ship and write a story about it. 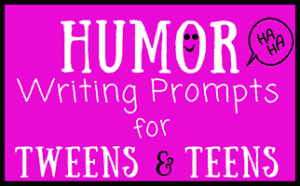 Write a parody of a popular song or story. If you had a school, what would you teach? What is the best way to have a perfect day? Write about a crazy dream you once had. Write about a food that you disliked when you were younger, but couldn’t live without now. Write a story in the day of the life of your pet. If you could name the colors in a box of crayons, what would they be? What do you think the hardest job in the world is? If you could decorate your room any way you wanted, what would it look like? 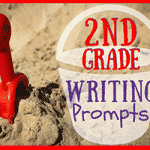 Write about a time when you were embarrassed. What would it be like to be eight feet tall? Make up the rules for a fun, new game you and your best friend can play together. 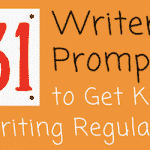 Write a story about the toys or belongings in your room coming to life. What do they do? If you were a professional athlete, what sport would you like to play? Write about your favorite game and why it is so much fun. What is the best thing to do on a rainy day? Which of your family members do you have the most in common with? 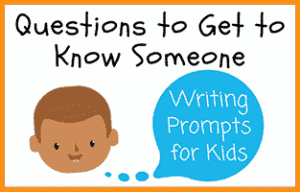 Write a story about an unlikely pair of friends. What do you think life is like for astronauts in outer space? What qualities should a friend have? 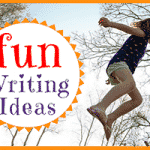 Write about a time when you did something that you really didn’t want to. Imagine life as a butterfly – where would you go? Do you think you’ll want to have kids someday? 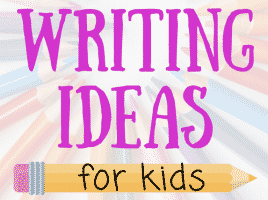 Write an adventure story about your favorite stuffed animal. Look outside and write a poem about today’s weather. What would it be like to live in a cloud? If you lived in a video game, which character would you be? What are your three most important belongings? 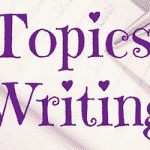 Write a news story about a current event. What do you think aliens would think if they visited Earth? If you could learn another language, which one would you choose? What would your life be like if you had a pet tiger? Write a story about Paul and Polly the Penguins. If you had to write a theme song for our school, what would it be about? If you found a new dinosaur, what would you name it? Write about someone who always makes you laugh.